Rotterdam is full of pollution and we have to take action. 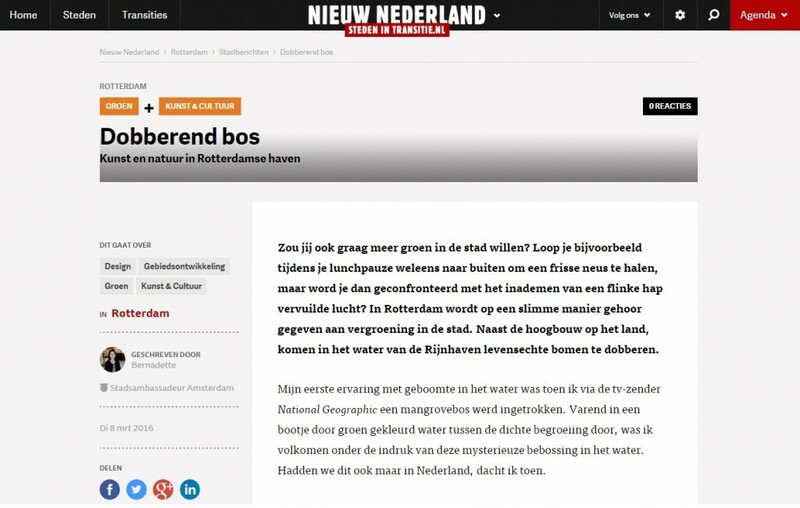 The article by Steden in Transitie (cities in transition) explains how the Bobbing Forest can help in this quest. The artwork does not only ask for more attention for sustainability, but the trees compensate for 1000 km of car driving in CO² in their first year. Read the full article in Dutch here.